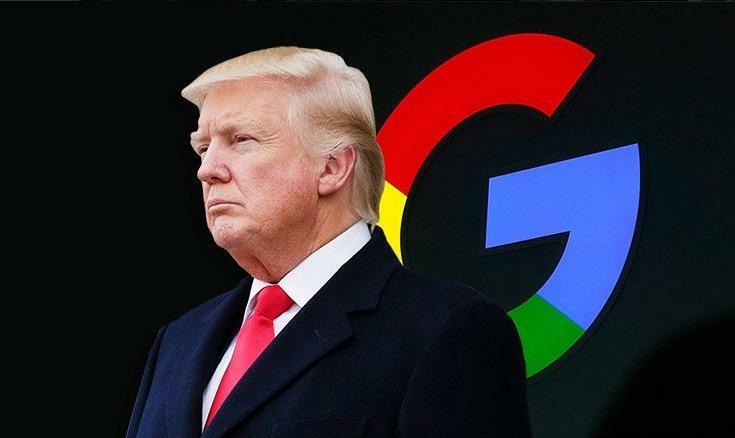 US President Donald Trump has widened his criticism of social media platforms to now also include Google, whom he says favors left-wing news. The US President believes that the Silicon Valley company prioritizes negative news stories about him from what he described as the "national left-wing media" whilst conservative reporting was being "suppressed". Google in response denied that it uses political viewpoints to shape the results of its algorithm. A spokesperson for the company said that "Search is not used to set a political agenda and we don't bias our results toward any political ideology." Related coverage: <a href="https://thegoldwater.com/news/35069-Midterms-2018-Social-Media-Reps-Held-Secretive-Meeting-To-Influence-Election-Result"> Midterms 2018 - Social Media Reps Held Secretive Meeting To Influence Election Result</a>. "Every year, we issue hundreds of improvements to our algorithms to ensure they surface high-quality content in response to users' queries. We continually work to improve Google Search and we never rank search results to manipulate political sentiment." In a week from now, Twitter CEO Jack Dorsey and Facebook’s Sheryl Sandberg will be testifying on Capitol Hill over the claimed bias of their respective companies. Related coverage: <a href="http://thegoldwater.com/news/34383-Twitter-CEO-Fully-Admits-Employees-Have-Largely-Left-Leaning-Bias-Video"> Twitter CEO "Fully Admits" Employees Have “Largely Left-Leaning Bias” (Video)</a>. Mr. Dorsey has recently admitted, after being accused of censoring conservative voices on his platform, that Twitter’s personnel ‘leaned-left’.